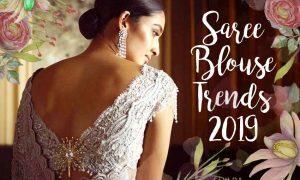 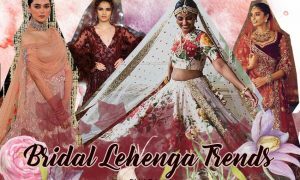 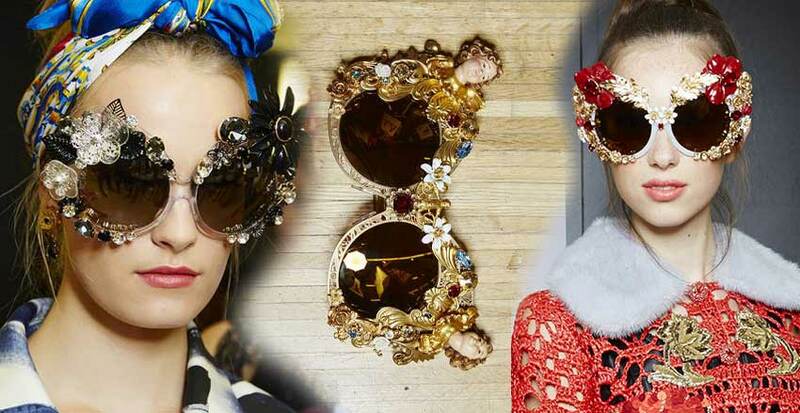 After their Fall 2015 Ready-to-Wear and Couture collections, it was hard to imagine anything would top the gorgeousness and extravagance. 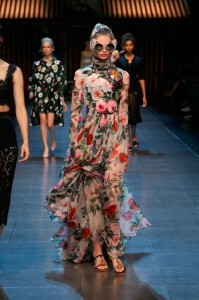 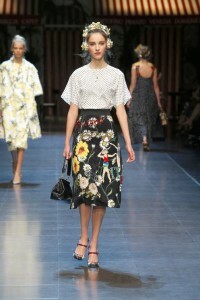 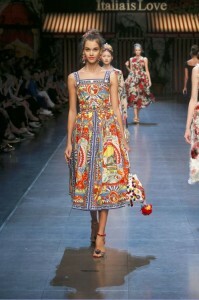 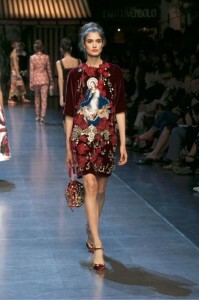 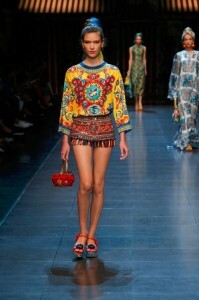 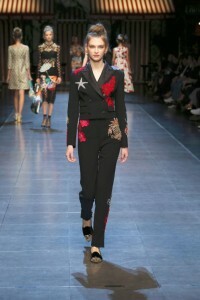 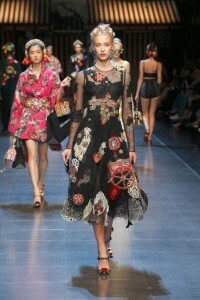 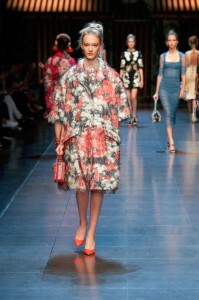 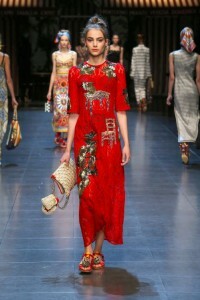 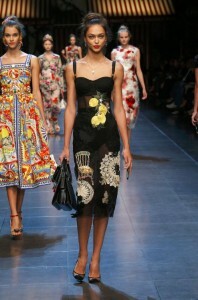 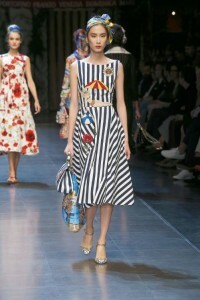 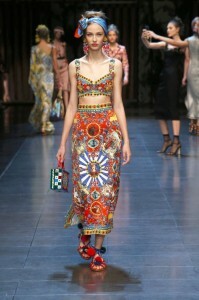 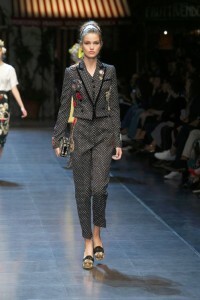 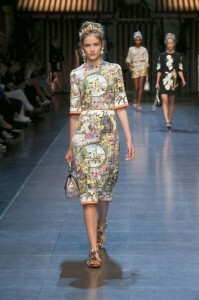 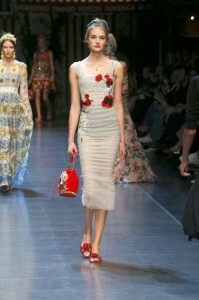 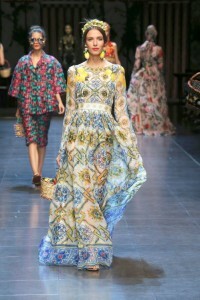 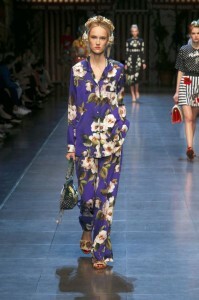 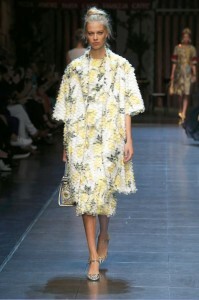 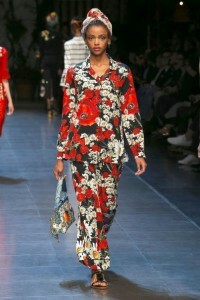 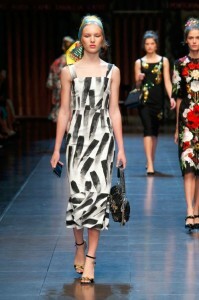 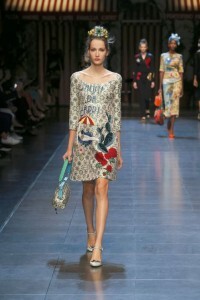 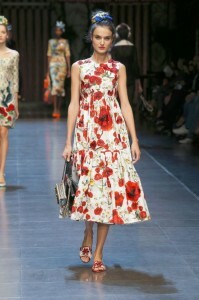 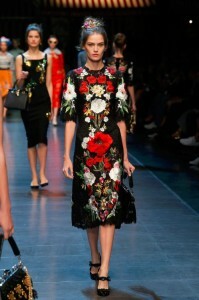 But Dolce and Gabbana Spring Summer 2016 ready-to-wear collection earlier this week at Milan Fashion Week proved us wrong. 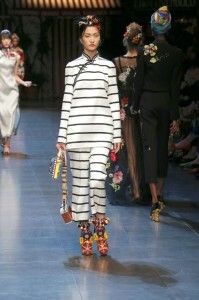 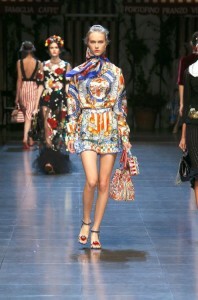 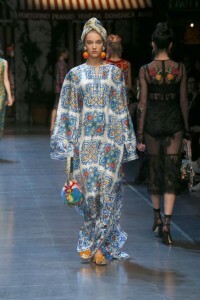 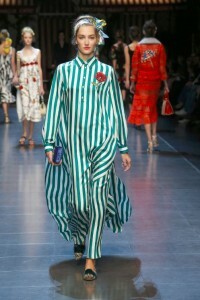 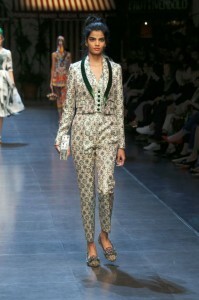 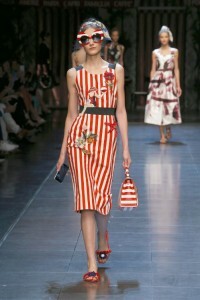 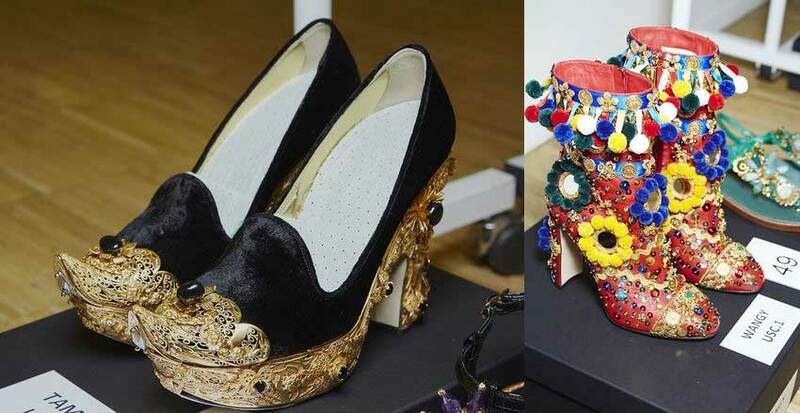 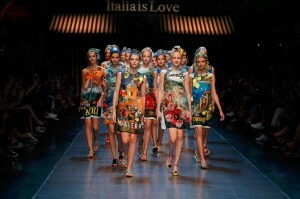 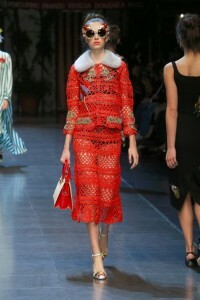 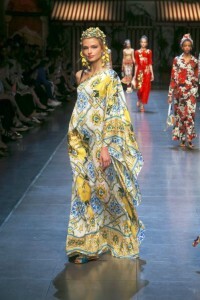 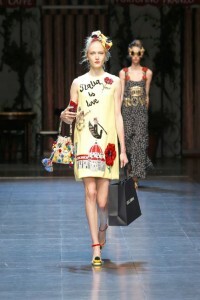 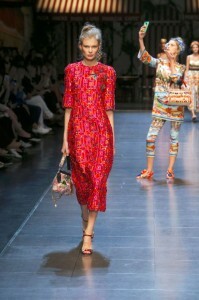 The ‘Italia is Love’ collection celebrated Italian culture, art and architecture. 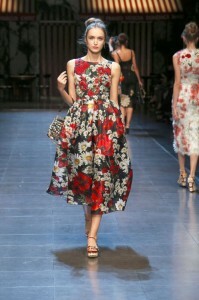 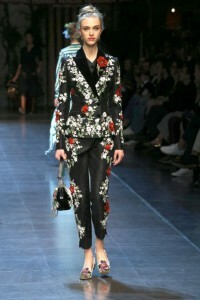 Unabashedly feminine, the pieces used classic fashion elements in a brilliant way that was modern while being vintage! 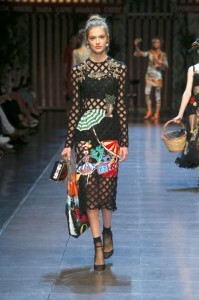 Black lace midis, lemon and orange shaped earrings, OTT sunglasses embellished with flowers, Renaissance painting prints on dresses, applique with Italian tourism elements like the goldola and Michaelangelo’s David, multi-colored tassles and pom-poms on heels – the collection was a bunch of colors and aesthetic. 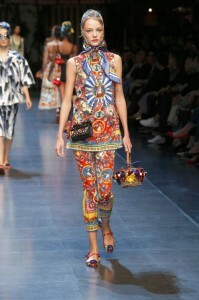 It was the type that would redeem a bad day! 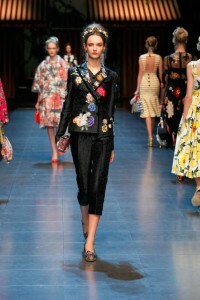 And all the different new ways to tie them! 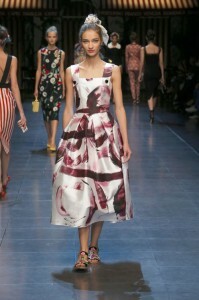 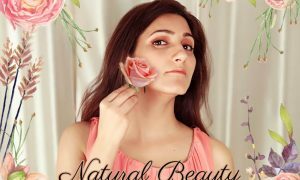 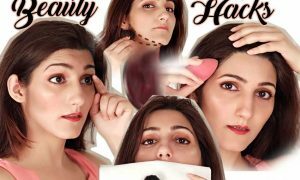 The makeup consisted of minimal winged eye n barely-there contouring plus dewey-natural pink lips. 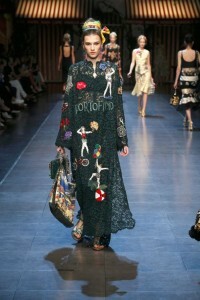 And embroidered. 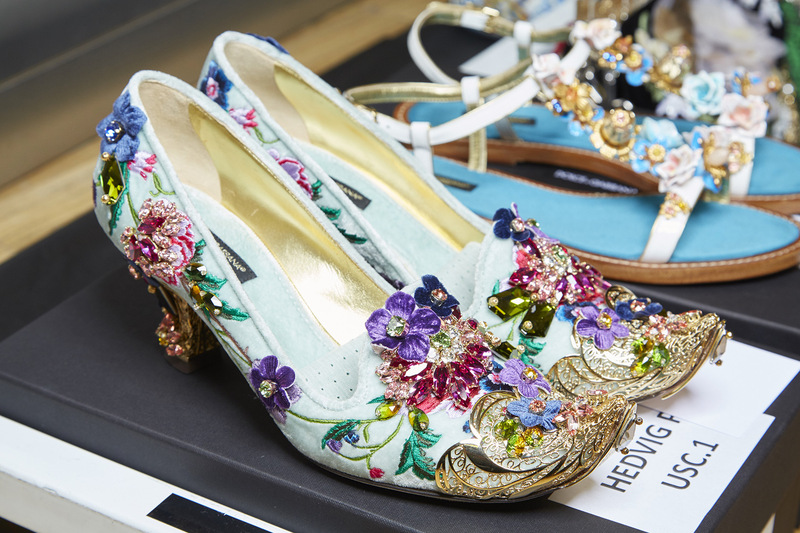 And mirrored. 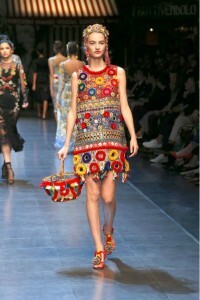 With tassles and pom-poms. 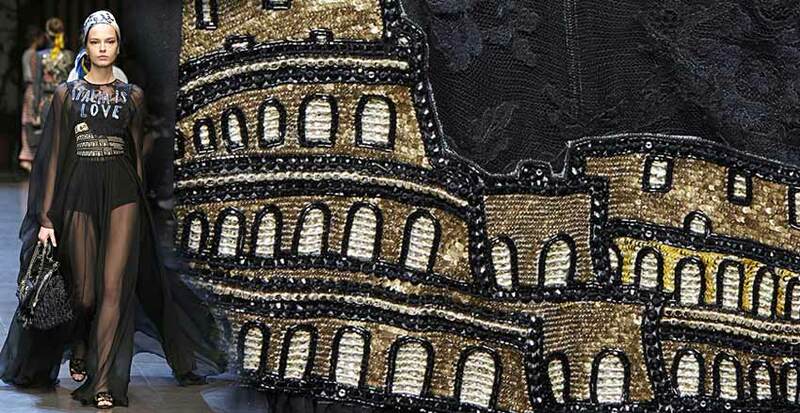 Plus stone-inlay work. 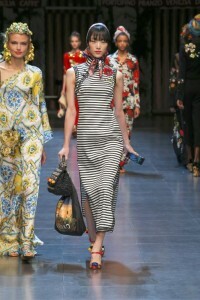 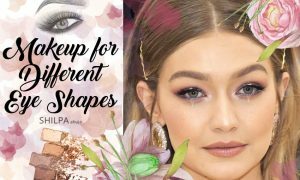 Models walked in with one or two handbags in one hand, a phone in another, maybe even a Dolce and Gabbana shopping bag with it. 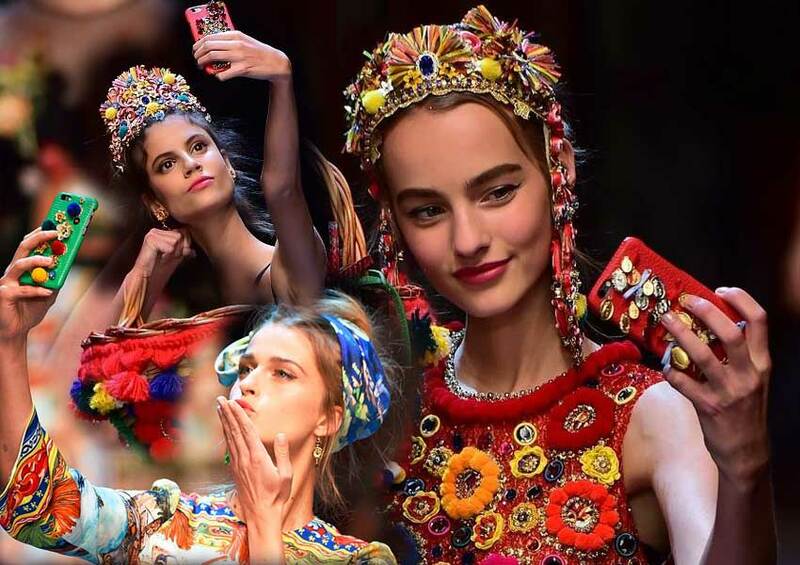 Some stopped midway on the ramp to take these lovely selfies that popped up in rotation on large screens on either side of the runway. 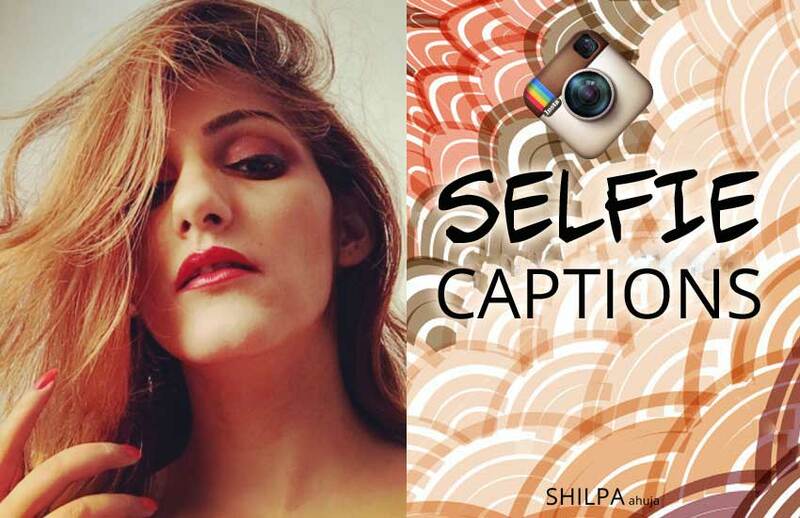 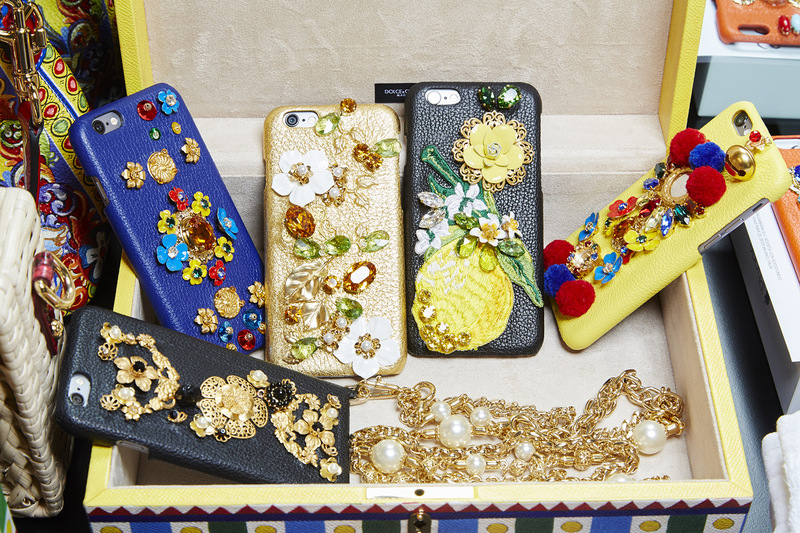 The phone covers are all embellished with sequins and the works – to match the outfits! 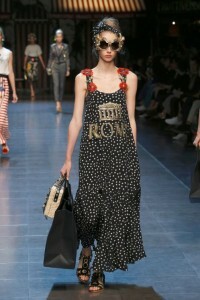 Taking the tourist spirit to the next level, some of the micro-bags were inspired by point and shoot cameras! 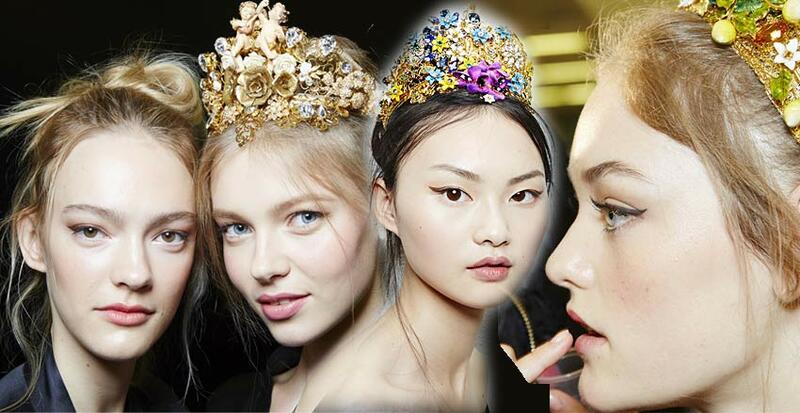 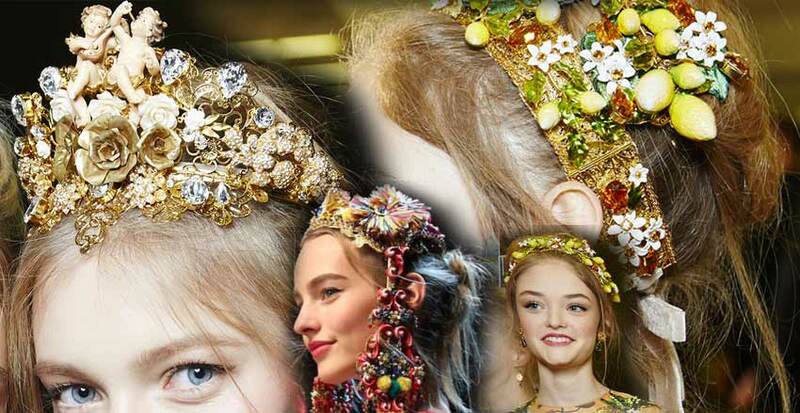 The embellished headbands were intricate and extravagant. 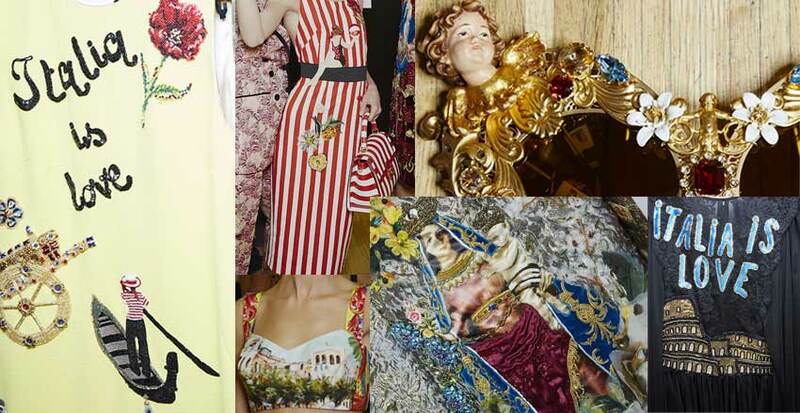 Inspired by Italian art, some had flowers and fruits and even cherubs. 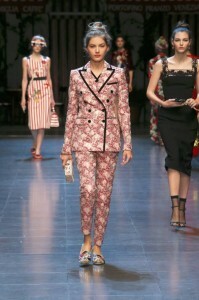 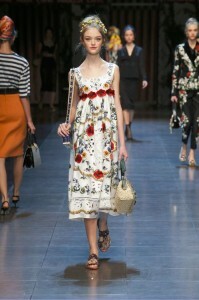 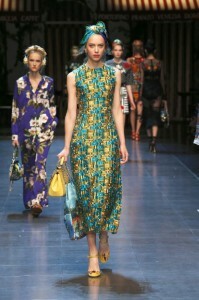 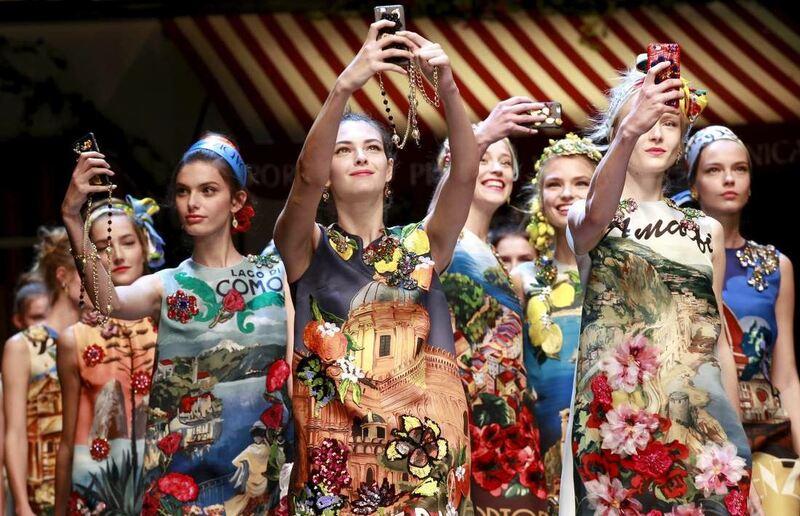 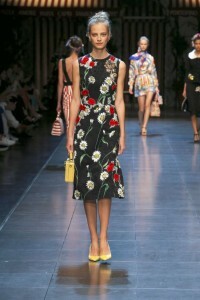 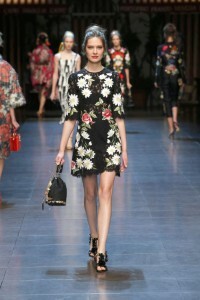 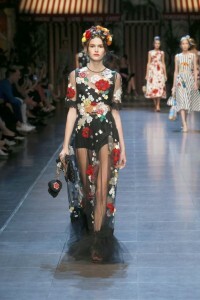 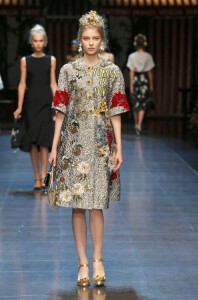 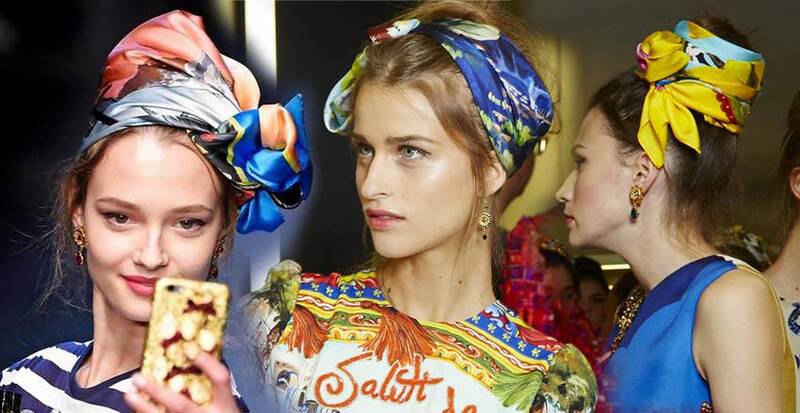 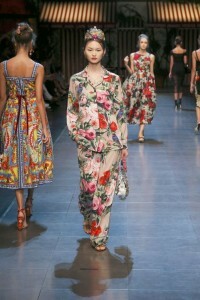 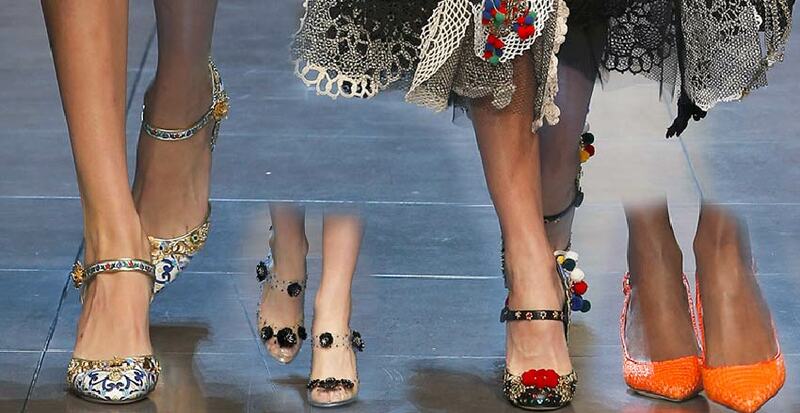 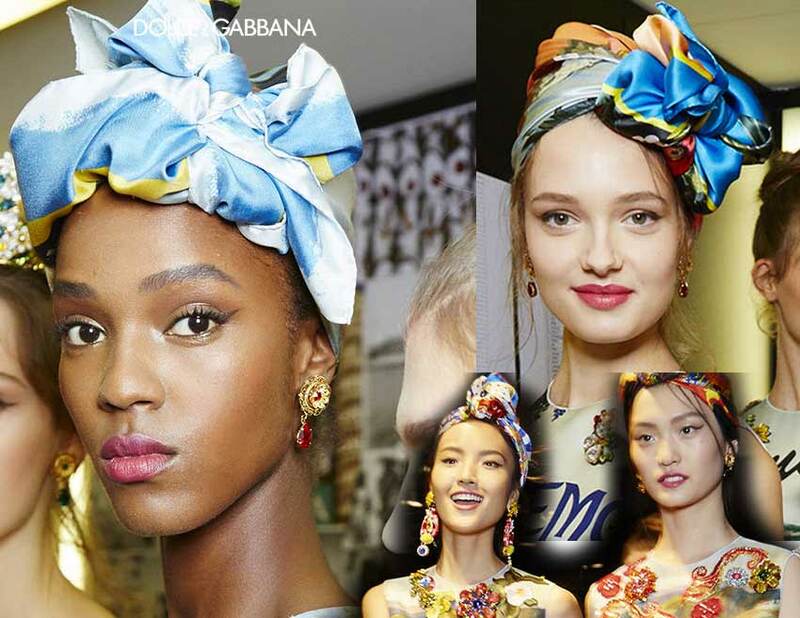 Did you love the Dolce and Gabbana Spring Summer 2016 RTW collection? 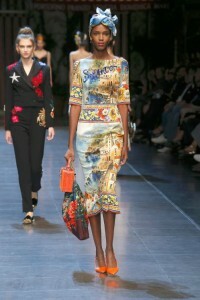 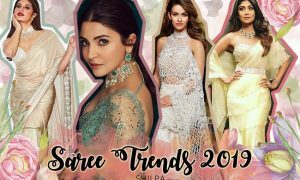 Which was your favorite look and how would you wear it? 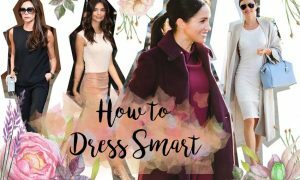 Let me know below! 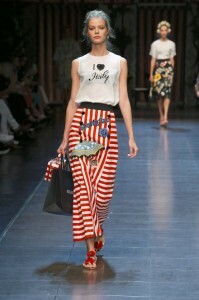 🙂 Arrivederci!